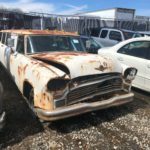 The Last Checker? All Ten Of Them! 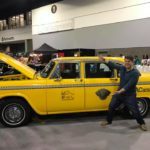 So most Checker fans are aware that, the last official Checker Cab produced is sitting in the Gilmore Museum in Hickory Corners, Michigan. Serial number 2000 was produced in June of 1982 and with great fanfare exited the line and took its place in history as being the last Checker produced. That said: over the years, other “last Checkers” have popped up. 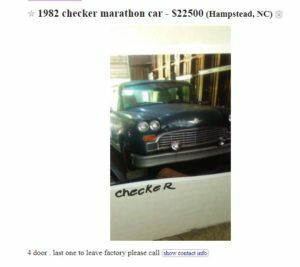 Most recently a 1982 Checker appeared on Craig’s list claiming to be the last Checker delivered. No supporting documentation is presented and it would be fair to say the ICTA Facebook page lit up with challenges. 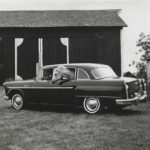 Given the recent discussion it does make sense to paint a picture of Checker automobile production, sales and delivery post that faithful day that the last Checker came down the line. The first one that comes to mind is a Checker that received national attention in 1983. “Driven Mind” a book by Garry Sowerby documents the many exciting and grueling road trips by the author. Garry is in the “Guiness Book of World Records” for the record time of driving around the world, and for his other amazing road trips. One trip documented but was never run was the proposed Paris to Peking auto race of 1982. 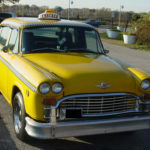 According to Sowerby ““In 1982, when Checker Motors Corporation of Kalamazoo, Michigan stopped production of the iconic hulks that had become synonymous with the term New York Taxi, a bit of an American tradition skidded onto the hard shoulders of reality. Sowerby actually purchased a Checker, but obtaining one was a challenge. 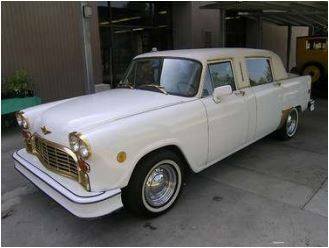 Again, according to Sowerby “We needed something iconic for the cab and set our sights on a Checker taxi. When we called their head office in Kalamazoo and got the word about production stopping, sponsorship was out of the question. However, they told us one car remained. Hmm, the last Checker taxi! Today, Gary’s Checker has found a home at the Maritime Motorsports Hall of Fame Museum and is an inductee of the Canadian Motorsports Hall of Fame. So there you have it, the last Checker was delivered on November 22th 1982. Could there me more “last” Checkers? Well not so fast! We know from the CMC Checker Newsletter that the truckload of new Checkers were shipped out in March 1983. 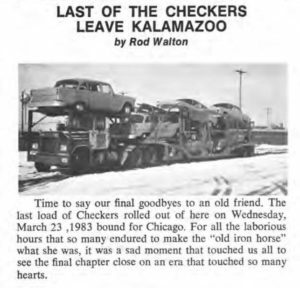 CMC executive Rod Walton, wrote in the CMC April 1983 newsletter a brief note with a picture “Last Of The Checkers Leave Kalamzoo”. 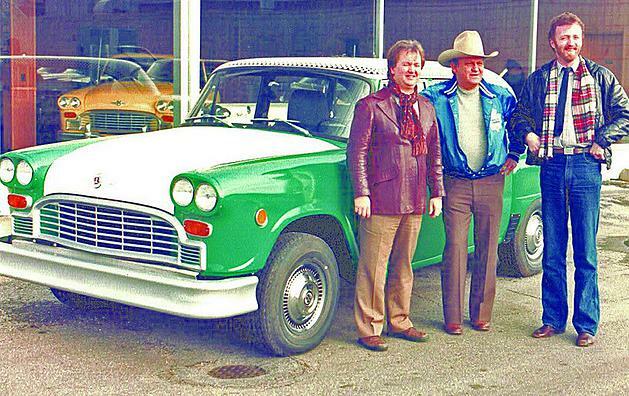 Many have heard about a rumor of a 1983 Checker being produced. Yes a Checker was produced offline in 1983. 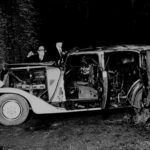 The car was built for a wealthy New York businessman Neil Rosenstein. According to former Plant Manager John Logan, a A12E leftover engineering unit was used as a source for the car. 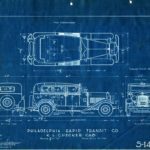 The plant no longer had any longer doors, so the shorter A11 doors were used and a center section was added. Essentially hand assembled, the car was fitted with a 1983 serial plate. 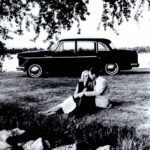 Believe it or not, there was also Checker Cab manufacturing going on at the plant in 1996! To be clear it was actually remanufacturing. 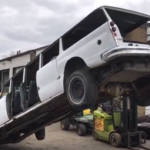 From the 80’s through the 90’s CMC would remanufacture or refurbish Checker Cabs in the Cab Service Building. One big name customer was Nike. According to CMC Corporate newsletters of 1997, Nike contacted Checker to see if cabs could be purchased for a marketing campaign called “Swoosh”. 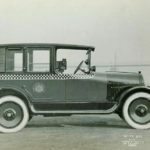 Two high mileage Checkers, sitting at Cab Services were pulled out of the weeds and rebuilt to exacting NYC standards. The cars were equipped with trailers to tow a Basketball hoop. Nike used the vehicles in a campaign to various charity events to promote youth basketball. The Checkers were even used to showcase Nike at the 1997 NCAA Girls Final Four tournament. So, the question is, are these the last Checker delivered by Checker? But wait there’s more! What about those new Checkers in the showroom parked until 2009? Many Checker fans who visited the plant in 2002 at one of the larger Checker conventions may remember seeing several new Checkers sitting in the showroom, all were new! This writer certainly remembers them! What happened to them after Checker went bankrupt? 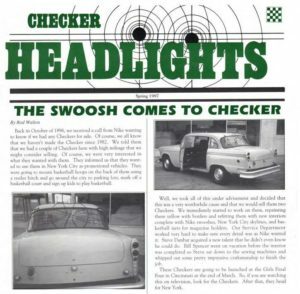 In theory, these too could be considered the last Checkers delivered by Checker Motors Corp. The answer is pretty simple, the Markin family took delivery of all those units and sold them off over the last ten years. Many ICTA members had the pleasure of visiting Chris Markin’s compound in Kalamazoo. 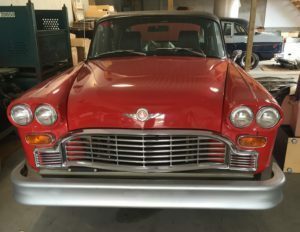 Deep in the corner of his garage was an new 1982 Checker. A bright red unit, only had 16 miles on the odometers! So in the end, it’s clear that after assembly line production Checker automobile activity continued in Kalamazoo, just a little under the radar. Gary has not been inducted into the Canadian Motorsport Hall of Fame. 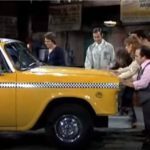 How many Checker’s are still in service as Taxis?